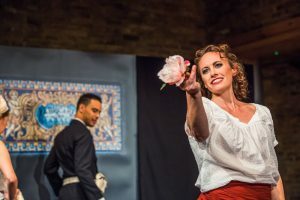 Bronwen made her operatic title role debut as ‘Carmen’ in London with Secret Opera and also premièred as ‘Madre Germont’ in the company’s all female production of Verdi’s La traviata – “The Trousered Traviata” – with performances in London and Brighton. Recent opera roles include ‘Orlofsky’ in J.Strauss’ Die Fledermaus (Opera Integra), ‘Lola’ in Cavalleria Rusticana‘ (Opera Passione), ‘Suzuki’ in Madama Butterfly (Hellenic Opera Co, Greece) and ‘Amore’ & ‘Valetto’ in L‘incoronazione di Poppea (Skull of Yorick Productions) and ‘Dorabella’ in Cosi fan tutti (Ensemble OrQuesta). In 2017, Bronwen founded Rogue Opera to bring intimate opera productions to new spaces and audiences. The company’s first show, Bizet’s Carmen, premiered in May 2018 and will tour in Autumn/Winter. 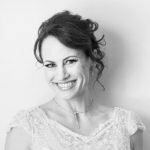 Bronwen is also a regular recitalist and performs for private and corporate events across the UK.